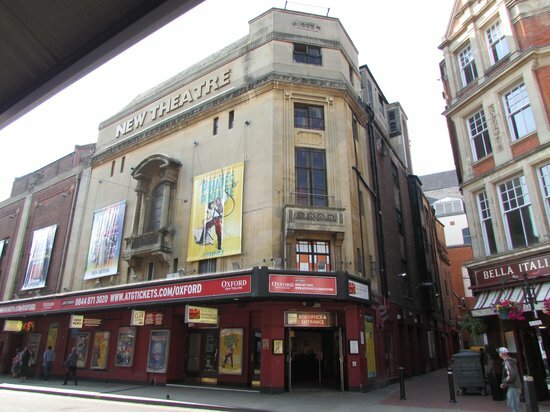 Daybreak Oxford has been the Charity of the Year for the New Theatre in Oxford during 2018. We are just coming to the end of our partnership, and just wanted to say thank you to all the staff for their support. They have raised £336 for us in collections from theatre goers and they have had our information leaflets on display throughout the year. They also gave us a wonderful prize of two tickets to attend the press night of Jersey Boys, plus they have been showing our Christmas Appeal video on their public screens through December. So we know they have really helped to raise awareness of Daybreak and the work that we do to support people living with dementia. This has been a tremendous boost for us, and we are very grateful indeed that they chose to support us. We wish them well for the future and hope that we might be able to keep in touch and work together again.